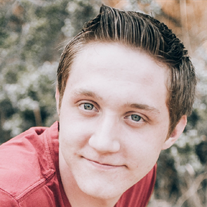 Shawn Kay Jensen (18), passed away on Monday, February 4, 2019. He was born August 8, 2000, the only son of the late Alex Kay Jensen and ReNee Ann Jensen. He grew up in Logan, Utah, and was a senior at Logan High School and LDS Seminary. He loved his family very much and enjoyed spending time with them. His favorite thing to do with his family was taking them out to Zillis Dairy, where he worked. He loved farming and talked about having his own farm. Shawn had a love for people that was like no other. His life was built on serving others. His friends meant a lot to him. He and the “fellas” had many adventures together like camping, fishing, basketball and just hanging out together. Shawn was preceded in death by his father Alex Kay Jensen, his grandfather Kenneth Price and uncles, Hal Mark Price, Kirt Dee Price and Jedediah Dennis Price. Shawn is survived by his mom, ReNee Ann Jensen; and his sisters, Andrea Lynne Jensen and Nicole Delta (Arron) Adams, and his grandparents, Virginia Price and Barbara and Charles Jensen. A funeral, under the direction of Allen-Hall Mortuary, will be held at 11:00AM on Saturday, February 9, 2019 at the 15th/16th LDS Ward Chapel, 125 W 600 N, Logan, Utah with a viewing prior from 9:00-10:30AM, burial to follow at the Logan City Cemetery. Condolences may be expressed online at www.allenmortuaries.com.